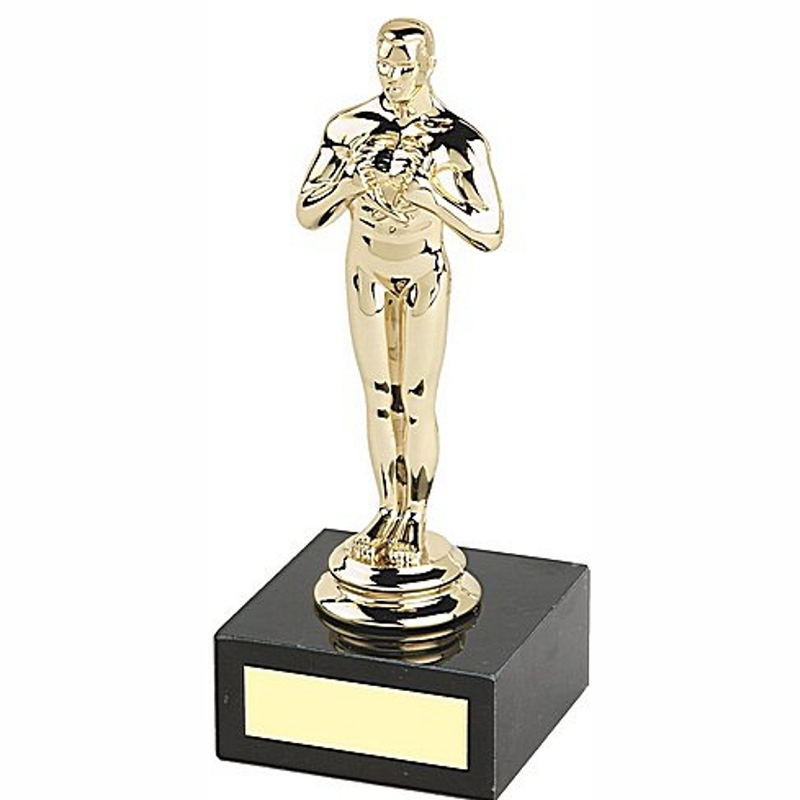 You might think it looks like an Oscar – this is not an Oscar trophy, and must not be mistaken for a real Oscar Trophy. 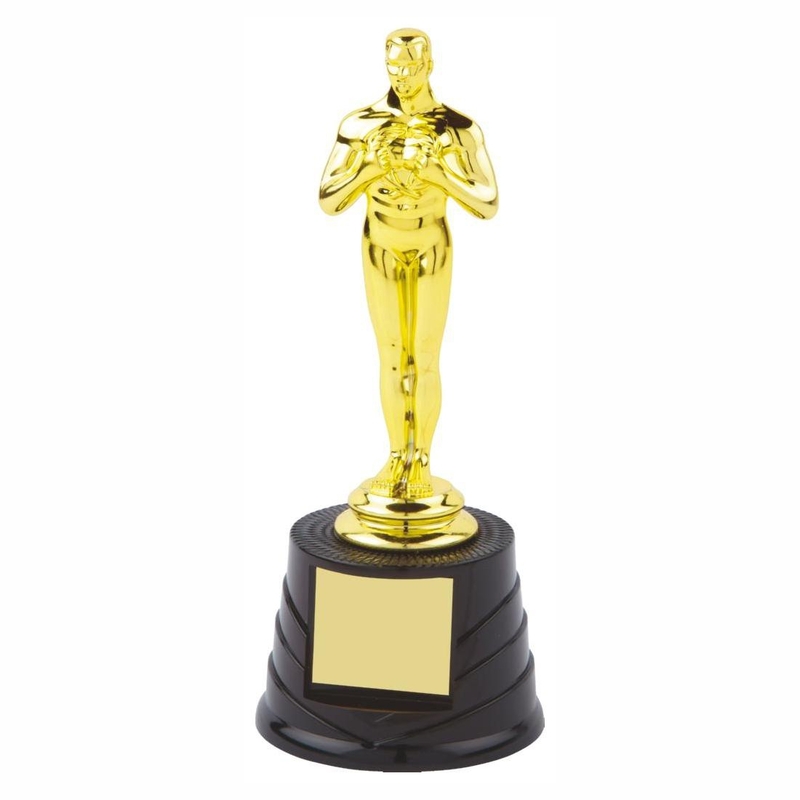 This is a great range of trophies as a fun award for someone who has worked hard. 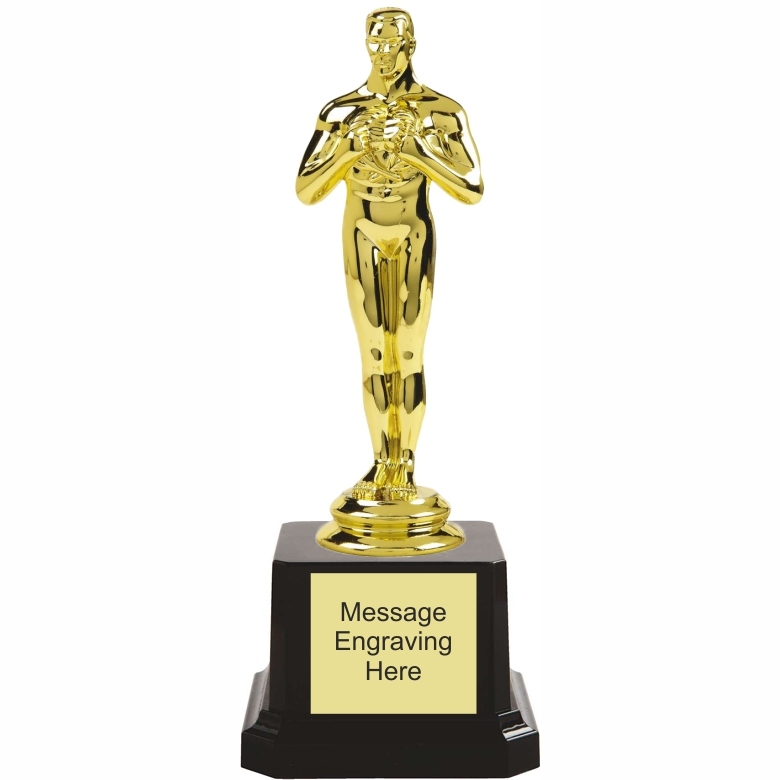 – these special trophies come in various sizes and are ideal for special presentations or office events and parties. Each come with a gilt engraving plate. NOW THE OFFICIAL BIT. 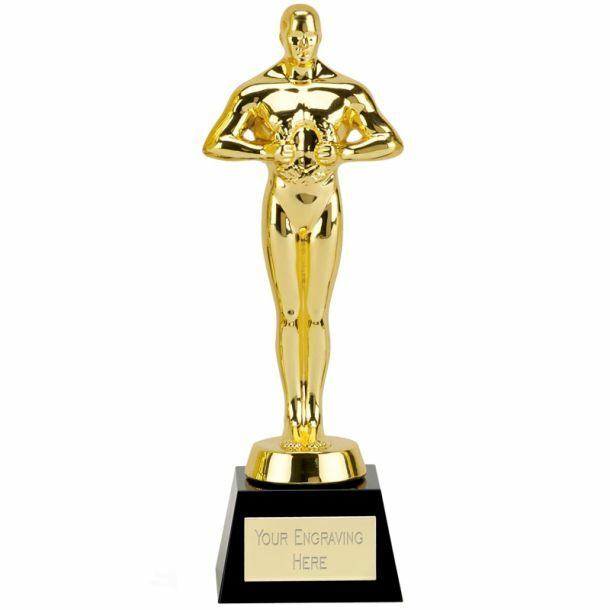 PDUs Male Achievement Awards may not be sold as, or represented to be, an Oscar or in anyway as to suggest an affiliation with, or sponsorship by the Academy of Motion Picture Arts and Sciences or the entertainment industry. Any violation of the prohibition may subject the violator to, among other things, claim of copyright infringement, trademark infringement and unfair competition. PDUs achievement Figures are offered with a modified pose. 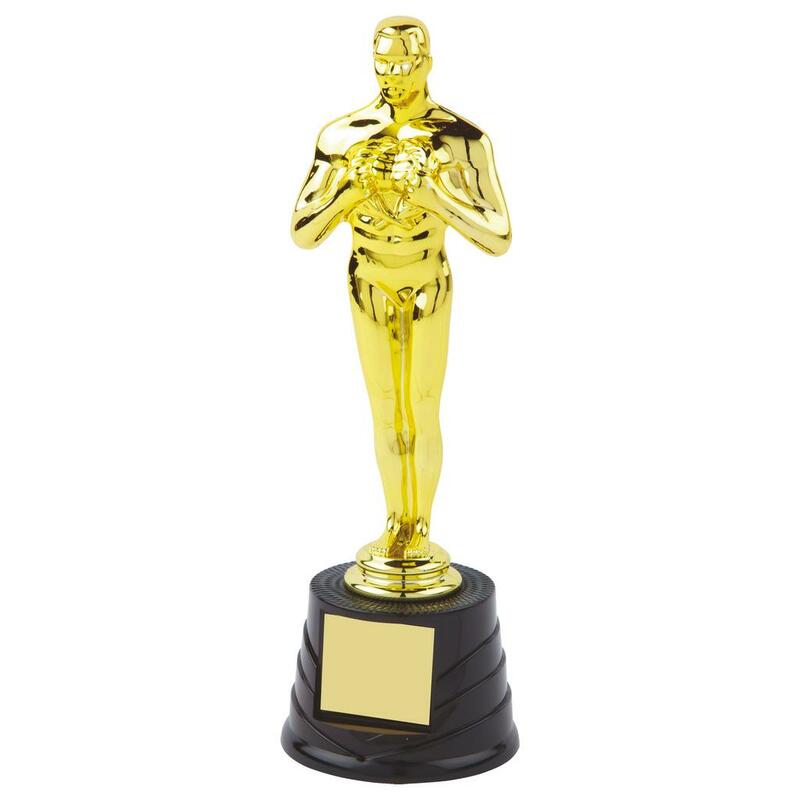 These figures are designed to eliminate any confusion with the world renowned Oscar This line of figures may not be marketed or sold in a manner that suggests an association with the motion picture industry, the Oscar or the Academy Awards.